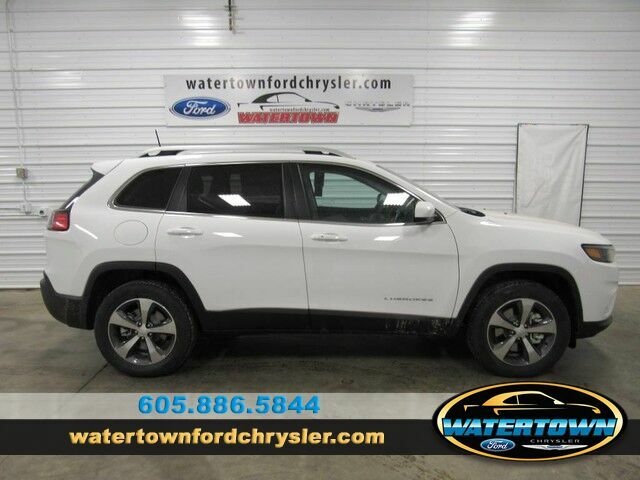 You can find this 2019 Jeep Cherokee Limited and many others like it at Watertown Ford Chrysler. Want more room? Want more style? This Jeep Cherokee is the vehicle for you. Taking the road less traveled has never been more fun than with this 4WD. With improved performance, mileage and acceleration, this 2019 4WD Jeep Cherokee Limited is king of the off-road. Just what you've been looking for. With quality in mind, this vehicle is the perfect addition to take home. The look is unmistakably Jeep, the smooth contours and cutting-edge technology of this Jeep Cherokee Limited will definitely turn heads.